An increase in orders for new aircraft and an increase in legacy aircraft upgrades, both driven by an increase in passenger traffic, are the key factors driving growth in the aircraft cabin lighting market. As innovative cabin lighting specialist, STG Aerospace, gears up to take advantage of this growth, we talk to Mr Dayron Vazquez, General Manager, STG Aerospace Inc., and Mr Blaine Wood, Regional Sales Manager for North America, at the company’s modern offices overlooking the runway at Miami International Airport. Q. Dayron, could you start by telling us something about your role and your team? DV. Since January, I’ve been General Manager of STG Aerospace Inc. which is a wholly owned subsidiary of UK-based STG Aerospace Ltd. As a company, we look after all STG Aerospace activity in the Americas which includes Canada, the USA, South and Central America and the Caribbean. I’m personally responsible for all the functions of the organisation here except for Sales although I obviously support them with budgeting and inventory management, making sure they have the right capital and human resources. At the moment, we have a team of six people made up of two sales specialists, one sales administrator and three production operatives. Having said that, we’re in the process of recruiting for a second sales administrator and for a junior office role. Q. Is there a reason why you’re based in Miami? DV. There are various historical reasons for that. But the key point is that Miami is fast becoming the aviation hub of the Americas. In terms of international passenger numbers, it’s the second largest airport in the US and number one for international cargo traffic. Largely because of that, a whole service industry is growing around the airport. For example, there’s a burgeoning MRO sector here, both Boeing and Airbus have major flight simulation centres for pilot training and IATA, the International Air Transport Association, has located its Americas HQ here. Miami is also the busiest US market for leisure and business travel to Asia – a very important market for STG Aerospace globally which is why, of course, our other subsidiary company is in China. Q. How long has the US side of STG Aerospace been operating? DV. Originally, before my time, STG Aerospace was represented in the US by an agent. But back in 2010, I think it was, the company decided to establish its own presence over here and STG Aerospace Inc. was born, initially as a sales and marketing arm but today we’re a lot more than just that. We also assemble products here from the sub-components that are shipped over to us from the UK and we do that under our own FAA approvals. So, in addition to Sales & Marketing, we have our own Operations, Production and Quality functions. The only thing we sub-contract is Engineering which is handled by STG Aerospace in the UK. In other words, we’re pretty much a self-governing organisation. Q. You manage all of that with a team of six people? DV. Well, as I say, we’re in the process of expanding the team but otherwise the answer to your question is ‘yes’. And we account for about 40% of the total STG Aerospace worldwide revenue! Q. That’s impressive. So, what can you tell me about your client base? DV. It’s across the board. 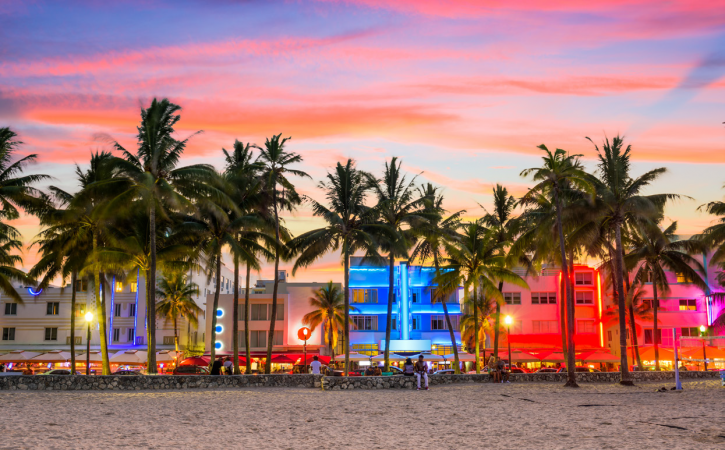 We sell direct to airlines such as South West Airlines and American Airlines as well as smaller regional airlines and charter airlines like Miami Air and others. Most of that comes from upgrading legacy systems but then we also service OEMs such as Bell Helicopter and Embraer through intermediaries and we also work with MROs and other brokers. It all adds up to a lot of business. On the photoluminescent side, so that’s saf-Tglo® and saf-Tsign®, I think our products are now installed on just over 66% of the world’s fleet of passenger aircraft but we have a bit further to go on the liTeMood® LED side. Having said that, there are some major discussions going on with some potential customers that may have a significant impact on our market share here as well. Q. What do you think it is that makes you so successful? DV. I think it’s our holistic view of building a relationship with the customer. We don’t think about it as just a sale, we also think about how we’re going to support the customer after we’ve delivered the product. It’s all about listening to our customers and addressing their issues in a practical and common sense way. Q. Where do you see your future growth coming from? DV. Potentially across the whole region but, in particular, I think there are real opportunities for our liTeMood® systems in Canada, in South America and in the Caribbean. As the newer generation aircraft enter the US market some of the older aircraft, meaning the classics, will find their way to airlines in some of these other countries where, in order to compete with the blue chip carriers, they’ll want to upgrade their cabins to provide their passengers with an enhanced experience. With our LED lighting systems, they can do that at a much lower cost than it would take to operate a new aircraft. Q. That’s very interesting, Dayron. Now, Blaine, I understand that you’re quite new to STG Aerospace. BW. That’s right. I’ve been with the company since July having previously worked in a number of different roles at Panasonic Avionics Corporation, working directly with customers across the Americas region and promoting the sale and installation of their inflight entertainment systems. Q. It sounds like a similar role to your new one. So what attracted you to STG Aerospace? BW. The really important thing for me was the reputation the company has for being so innovative in its product development. That’s a big motivational factor when it comes to representing and promoting a company. Add to that the company’s approach to developing total cabin lighting solutions and I think STG Aerospace has a lot of real potential across the Americas. I’m really looking forward to being a part of turning that potential into new sales. Q. The message seems to be one of real confidence going forward. BW. That’s definitely how I feel having just joined the company. DV. Yes, indeed. Everything is in place for STG Aerospace to really make its mark across the whole of the Americas.